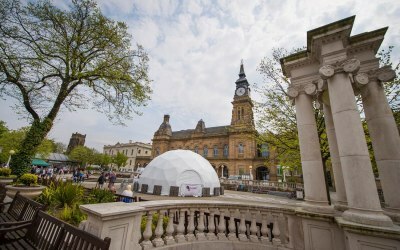 10 metre geodesic dome hire with full dome projections. Mobile planetarium. Hand coppiced yurt hire. 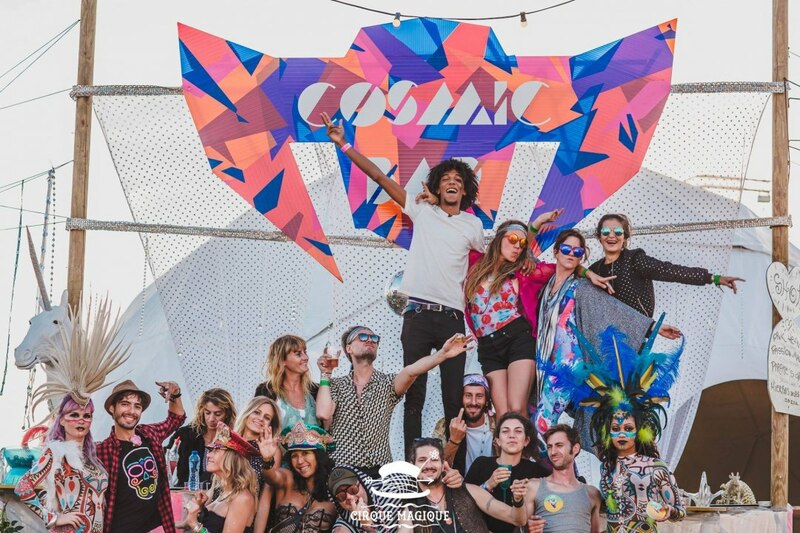 Party planning, DJ's and catering & Mobile Bar! 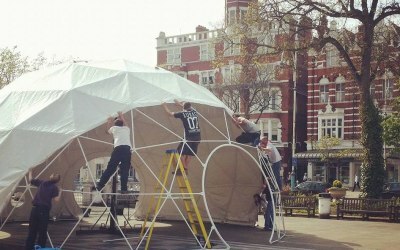 Our structures are excellent alternatives to marquees. 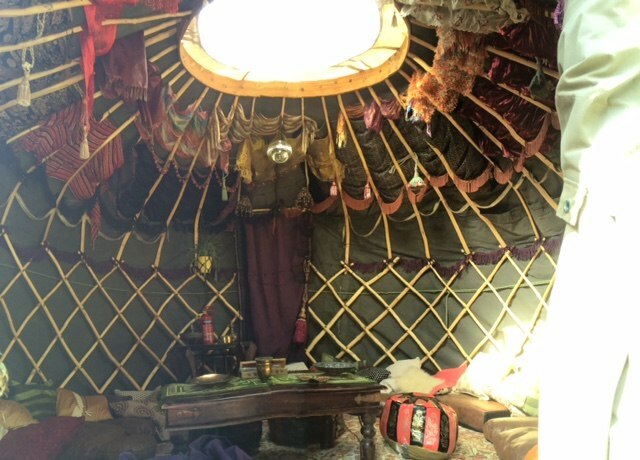 Yurtrude the Yurt. 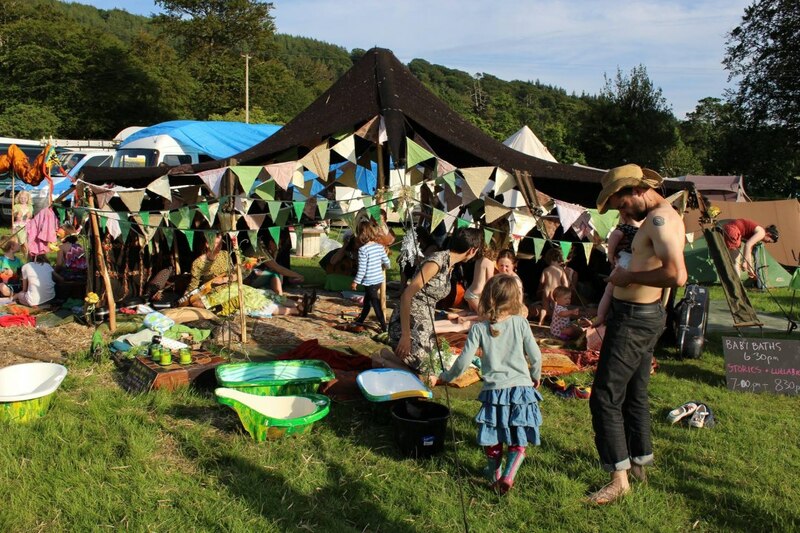 Beatherder Festival 2015. 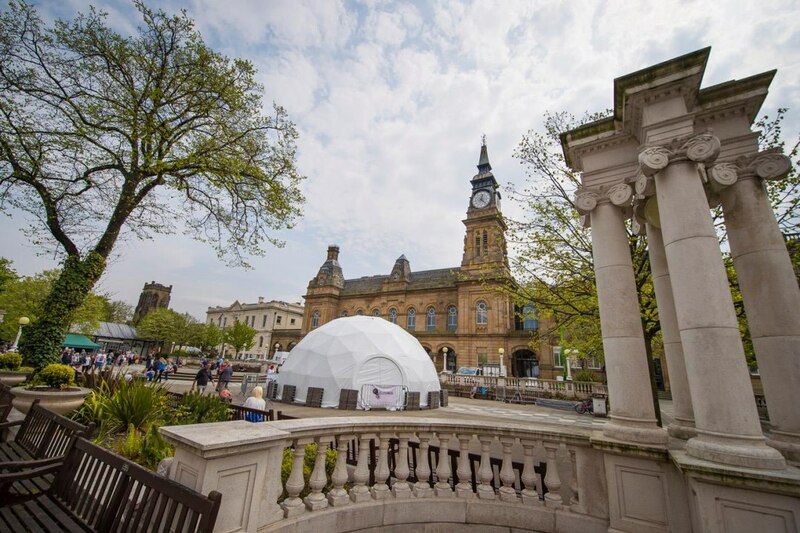 JELLYFISHMOON can provide all your event needs, whether it be; structure hire, mobile planetarium showing full dome movies, event planning, visual arts, festivals, food catering, private parties, weddings, pop up bar and corporate events & launches. The Dome. 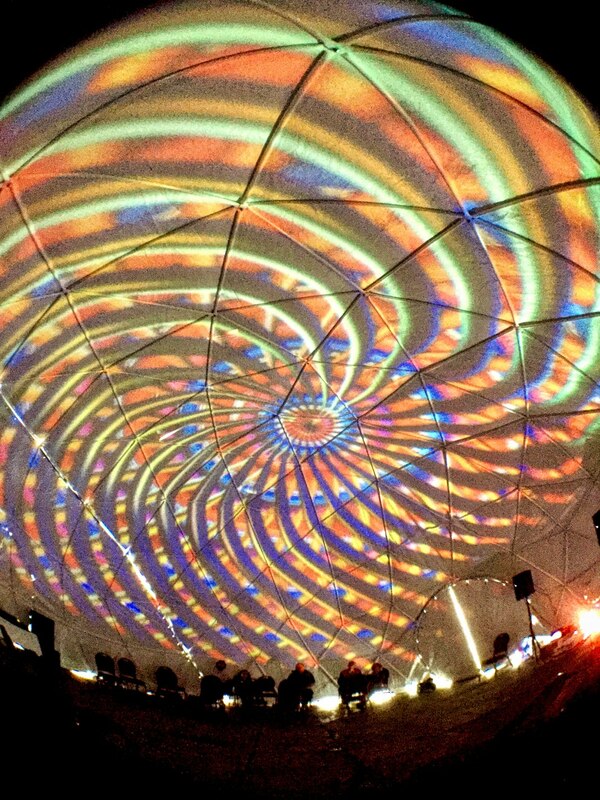 10 metre Geodesic Dome with 360° Full Dome Projections. We have successfully completed an Arts Council Funded Project- Audio Sonic Vision. 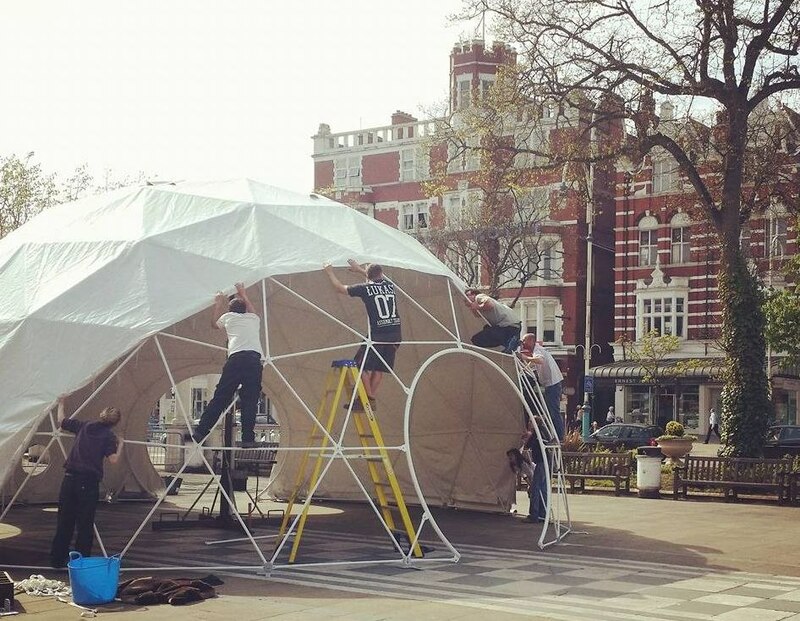 Our 10 meter geodesic dome is made out of steel, with a cover that fits tight and snug. We have a full white, black out cover used for full dome projections and also a clear front cover which shows off what's going on inside. 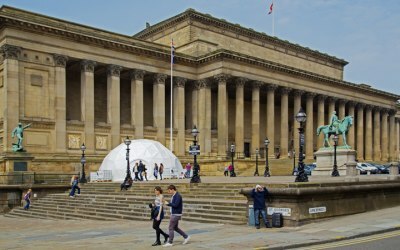 The dome is an exciting, eye catching structure, a real head turner for marquees and temporary structures. 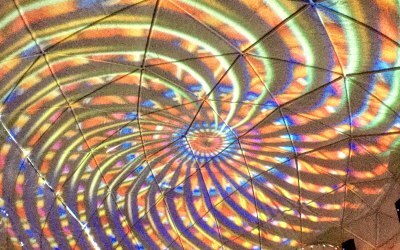 Jellyfish Moon's dome with full dome projections is a mobile planetarium. 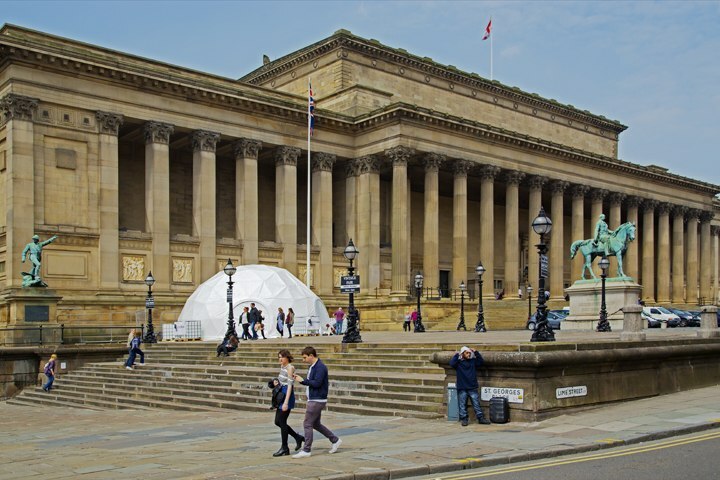 Ideal for local councils, parties, events, club nights, corporate clients, brand merchandising, music events, mobile art gallery. 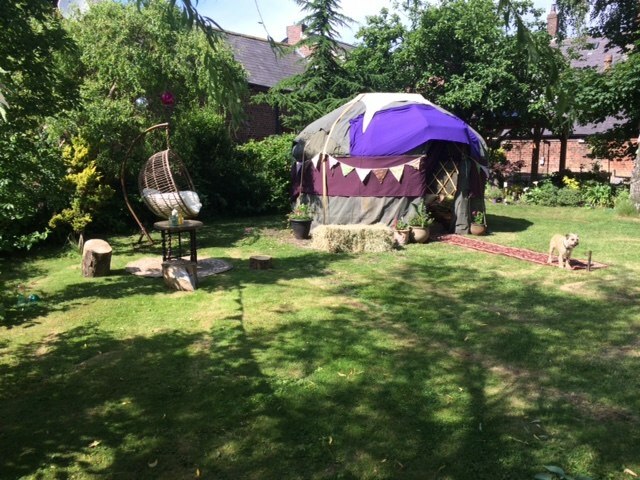 The yurtS. 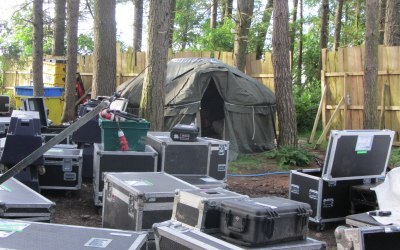 We have also hand crafted coppice 13ft yurt named Yurtrude. 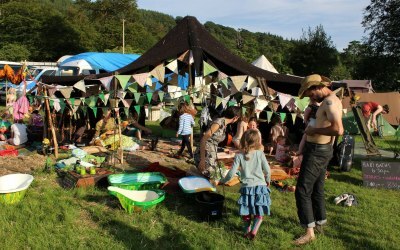 Yurtrude can be used for a number of client briefs, chill out yurt for parties, festivals and events. Sleeps 2-4. Chilling out up 32 people sitting on floor, last outing at a beach party. 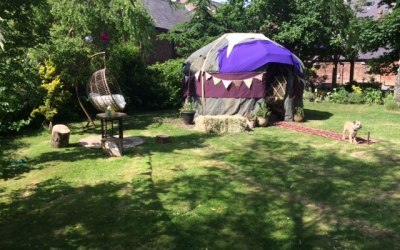 Hire yurt structure bare or dressed with cushions, rugs & accessories for the gypsy look. 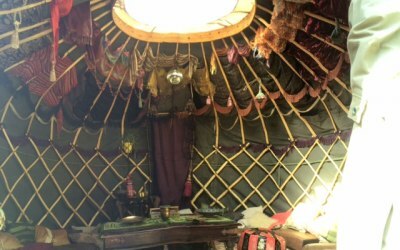 Also 9ft yurts available. 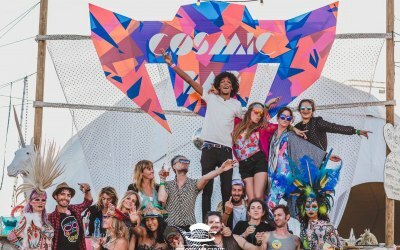 Festivals, local councils, event planners, private parties, club nights, weddings, visual arts, arts council England projects, museums, art galleries. 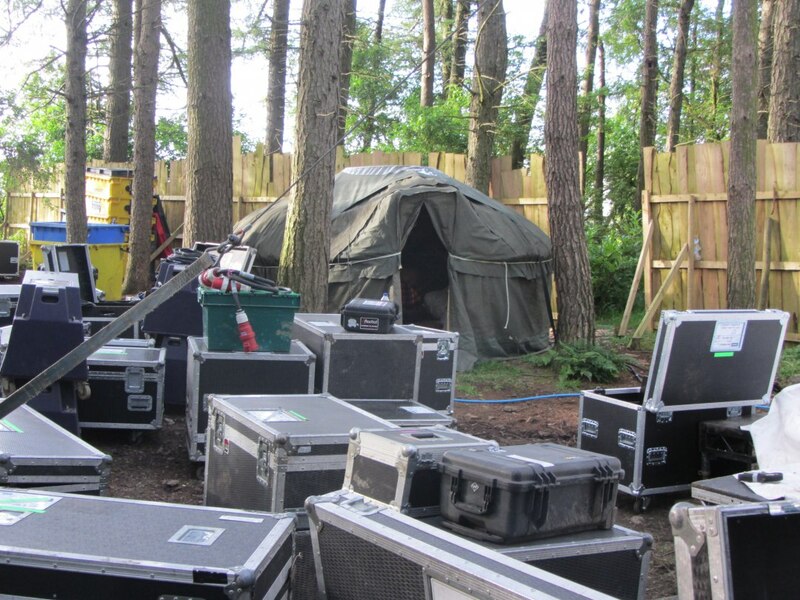 Arrived on time, equipment was just what we needed, friendly, quick set up. Great overall experience, thank you! He was an hour late, but did a good job! Get quotes from Jellyfish Moon and others within hours.